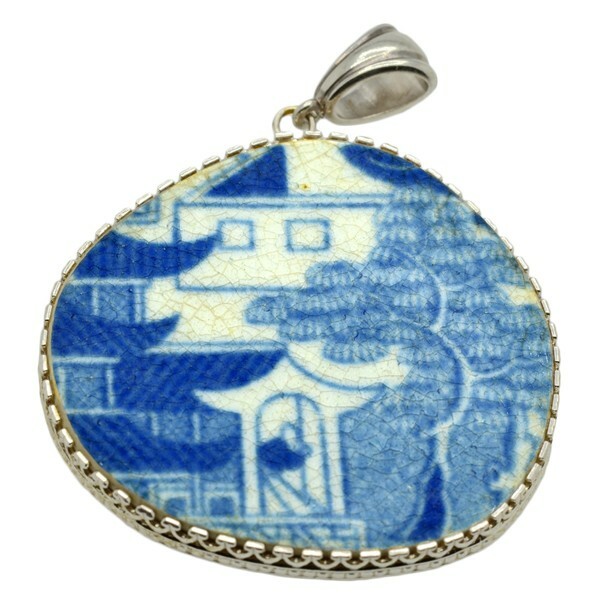 SOLD Caribbean Shipwreck Pottery Pendant; Please Explore Our Pottery Pendants For Similar Items. 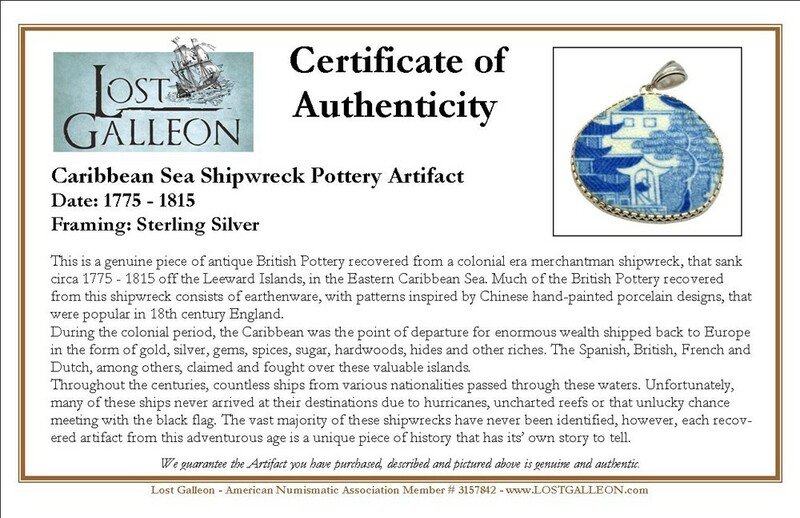 This is a genuine piece of antique British Pottery recovered from a colonial era merchantman shipwreck, that sank circa 1775 - 1815 off the Leeward Islands, in the Eastern Caribbean Sea. 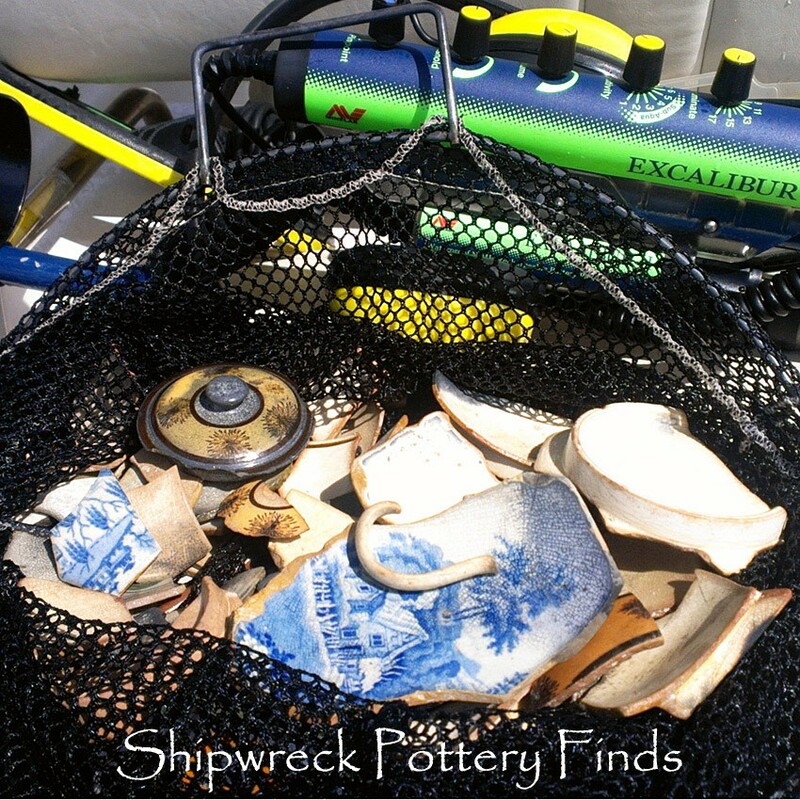 Much of the British Pottery recovered from this shipwreck consists of earthenware, with patterns inspired by Chinese hand-painted porcelain designs, that were popular in 18th century England. During the colonial period, the Caribbean was the point of departure for enormous wealth shipped back to Europe in the form of gold, silver, gems, spices, sugar, hardwoods, hides and other riches. The Spanish, British, French and Dutch, among others, claimed and fought over these valuable islands. Throughout the centuries, countless ships from various nationalities passed through these waters. Unfortunately, many of these ships never arrived at their destinations due to hurricanes, uncharted reefs or that unlucky chance meeting with the black flag. The vast majority of these shipwrecks have never been identified, however, each recovered artifact from this adventurous age is a unique piece of history that has its’ own story to tell.